Each year on March 28th, between 20:30 - 21:30, the world celebrates Earth Hour by switching off lights for one hour. This highlights the imminent issue of climate change and importance of mitigation of carbon emissions. For Maldives in particular, climate change is detrimental as the country heavily relies on healthy coral reefs for its survival. Coral reefs are extremely sensitive to ocean temperature fluctuations induced by climate change, so for us, joining the Earth Hour movement was a must! 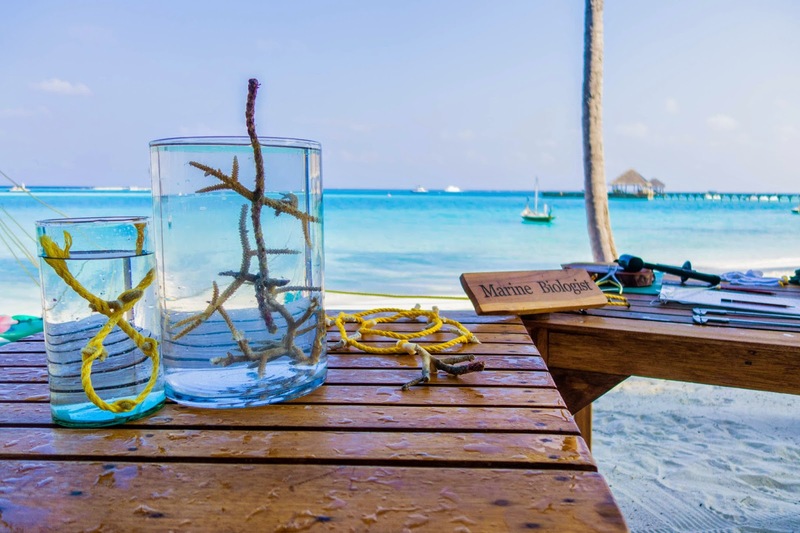 We started Earth Day early in the morning by setting up our ‘coral planting station’ next to the breakfast beach. With display tanks to engage the guests and leaflets allowing our guests to donate freely to the project, we encouraged our breakfast guests to help us plant 250 corals to celebrate the Coral Lines anniversary. Later on in the day we created a Gili starfish in the shallow water using one of the Coral Lines coral transplantation methods. This is a symbol for us as we begin transplantation of rope grown coral on to the reef- the most exciting and experimental part of the project. Towards the evening of course we did our power down, but for 2 hours instead of 1. After all, this is our planet, it deserves our time and attention!